It’s been very cold outside these last few days of 2017. Like many others, I have been staying inside and browsing my favorite sites on the web. For example, one of the several groups I belong to on Facebook is called “I grew up in Forestville.” It has about 1,500 members. And many memories posted by others have brought back old memories of my own. In fact last night I couldn’t sleep for thinking about all the places my family frequented along Marlboro Pike from Forestville, through District Heights, down into Hillside and then onto Coral Hills, MD–a distance of only 3.6 miles, but in my memory, of course, it seemed this area was much larger and the distance between much longer. The picture to the right is a Google Maps capture of a picture taken in the Summer of 2012. Our subdivision was known as Berkshire. My parents always took issue with people who referenced our home as being within the Town of District Heights. In their minds, this association was degrading??? Their preference after relocating from Capitol Heights was to refer to their new and classier hometown as Forestville. Yep, I know, silly–dates back to “keeping up with the Joneses,” I think. At any rate, they had worked long and hard to move up in the world, if only a mere four miles away. Just outside one of the exit streets from Berkshire to Marlboro Pike (Viceroy Avenue) was a Seven-Eleven on the right, a small laundromat further right, and at the corner of this small strip was the “Pizza Pan.” My brother John at age 11 talked the young owner into letting him pass out fliers around Forestville. When all fliers had brought in business, John advanced to making the sauce and pizzas. Pretty cool for a young kid with initiative. On the left side of Viceroy Avenue as you exit Berkshire onto Marlboro Pike was Gino’s, one of the earlier fast-food chains in our area. Gino’s was founded in 1957 out of Baltimore. In the 1980’s Marriott bought them out, discontinued the brand and converted locations to Roy Rogers Restaurants. At any rate, my brother, Frank, went to work at Gino’s when he was about 17. While working there he met and fell in love with his future wife, Diane. They’ve been together ever since–I’d say about 42 years. After leaving Gino’s, Frank went to work for Marlo Furniture that was founded in 1955 and its Forestville location remained their headquarters until 2012 when a former Marlo furniture employee, who had been one of Marlo’s vice presidents of merchandising, was now at Regency Furniture of Brandywine and bought them out. He said he kept Marlo’s names of the four purchased stores because of their great name recognition in the market and they were among the top furniture sellers in the country. When I was a young girl, I wanted to learn to tap dance. My mom took me to Jean Hartman’s Dance Studio. It faced Marlboro Pike and its side street was Delano Drive, just down the street from the Kay Cee Drugstore. The adjacent picture is one Jean sent out at Christmas time. I’m thinking it would have been 1954-55. It’s almost in pristine condition after all these years in my childhood photo album. I believe this building later became Fred Strebe’s Gunshop (who I happened to go high school with). Recently, I went searching for medical supplies for my parents who I care for and they still live in our family home. I drove past Great Eastern Plaza, past when the building that used to be the House of Henley Restaurant (near Aldi’s new Store), then past Clark’s Hardware store, which I believe is now a Dry Cleaners, and past Paul Moran’s old Texaco station at Marlboro Pike and Parkland Drive (used to be Maryland Avenue). Mr. Moran’s daughter, Mary, was also a classmate of mine. 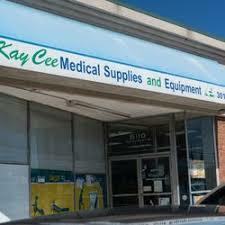 At any rate, Kay Cee Drugs is no longer a drugstore. It has become a medical supply dealer. However, when I went inside, it was in total disarray with cardboard boxes everywhere without any order or concern for appearances–not a place that should be open for public traffic in my mind. And, no, they didn’t have what I was searching for. When in 5th grade, I started taking music lessons downtown at the Guild Institute for Music. It was located at 9th and F Streets, N.W. in the high trafficked department store shopping district. Dad’s route was to travel Marlboro Pike from Forestville and veer right beside the Dixie Pig Restaurant in Corals Hills, to advance down Boones Hill Road and onto Benning Road, N.E. My music lessons were always in the mid-evening on Tuesdays. Dad would arrive home from his work in the District of Columbia at around 4pm and we would turn back around and head back up Marlboro Pike and en route we would select one of our favorite eateries for a quick dinner before my class. The Shady Oak Inn was just across Marlboro Pike from our Community’s main entrance at Upland Street, but this was more of a special night out eatery; their menu was more formal, food prep took longer, and their prices were more than our others choices along the way. Based on the car in this undated photo, I would say that it was taken recently. It looks fairly much the same, but I would no longer consider their primary business being food services. 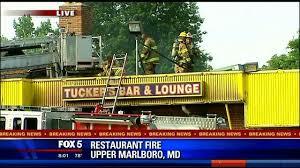 There also was Tucker’s Restaurant on Old Marlboro Pike in Upper Marlboro, just past the Forestville Fire Department, but it was in the wrong direction for these evenings. The following picture was taken on June 17, 2017, the date 100 firefighters were on the scene to try to save the building. Unfortunately, the lot now is empty. 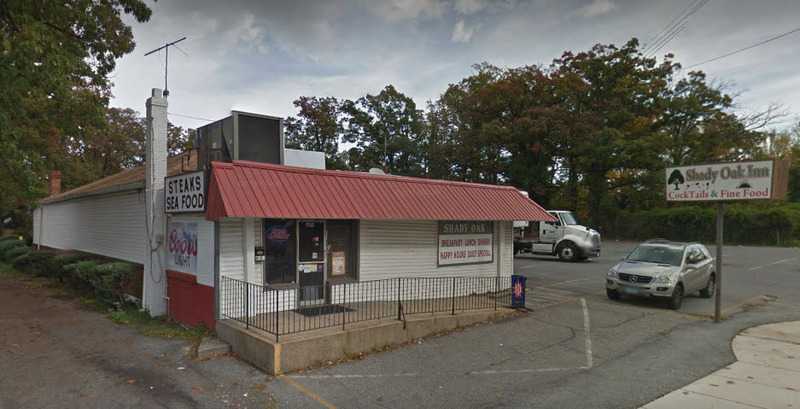 So, we usually headed to one of three places–Sidley’s, which was on Marlboro Pike across from where Walker Mill Road was cut through. It was a small single-story building with white clapboard extension to the entrance. Sidley’s was known for its down-home burgers and sandwiches, and we always made time to play a couple of games of shuffleboard bowling–our favorite. 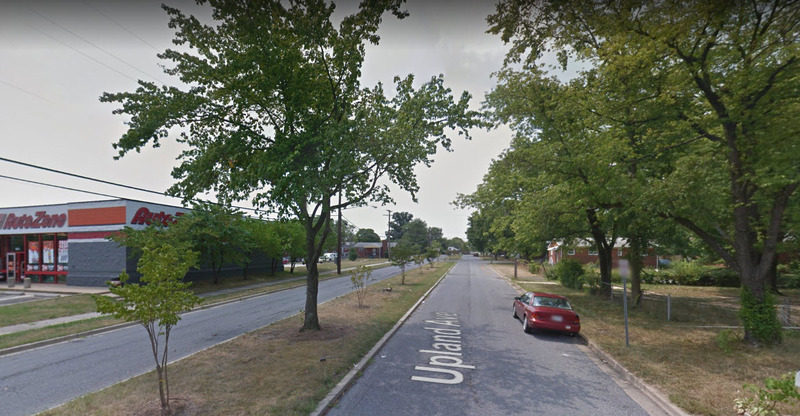 Similarly, across the street from Sidley’s was another single-story red brick building that was my dad’s supplier for radio/tv vacuum and cathode ray tubes “Southeast Radio/TV Repair.” And, next to Sidley’s was Bill’s Used Cars that had a rope of streaming banners above the hoods of the cars at its roadside. We sometimes had to fill the car up (a 1958 4-door Buick white on top, pink on bottom), with gas, which meant stopping across from Sam’s Car Wash, (owned by Sam Scatteragi), just beyond 57th Avenue (now Larchmont) at Marlboro Pike and making a right into the Texaco. My dad’s liquor store where he bought Gunther or Hamm’s Beer was just across the small street that led into the Hillside residential area. And, next to the Liquor Store, in that same stone-faced building was Luigi’s Italian Restaurant. (I’m not sure if this business was related to the one in Washington, DC, that just closed after 70 years of business, or not. But, I think this was my first taste of authentic Italian Food. I probably ate my first pieces of lasagna and pizza here–my favorite though was spaghetti with meat sauce. 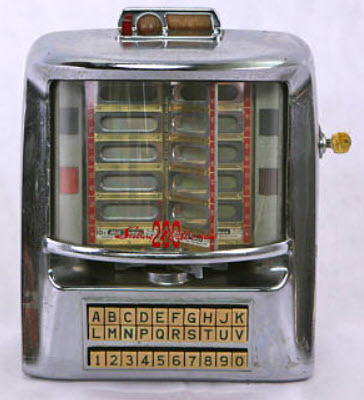 And, we always put a quarter in the tabletop jukebox machine and we stayed there just long enough to listen to the 5 selections we paid for–or sometimes we might have even splurged and put two quarters in for 10 plays. 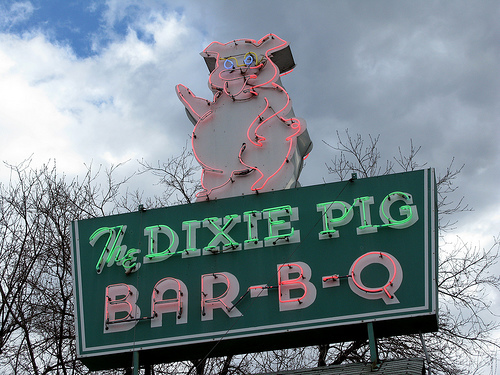 The third, but not least favorite, was the Dixie Pig Barbecue Restaurant that was at Marlboro Pike and Boones Hills Road. They had the best minced pork and beef barbecue you could imagine. They served it with minced coleslaw on top. And, if we didn’t get that at the curbside service, we ordered the steak and cheese sandwiches that were served on toasted bread. Yummy, too! After I married, my husband and we still frequented the Dixie Pig when near there. 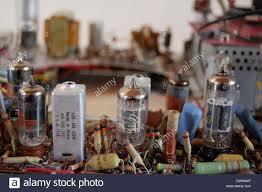 Our first child was born in 1966. During my pregnancy, I had a constant craving for Dixie Pig’s homemade vegetable soup that included cabbage in it. Till this day, our son will not eat vegetable soup! And, Bob, my husband, had a constant craving for Chinese barbecued ribs, that we got from Chin’s Palace. It was on the left side of Marlboro Pike as you headed for Hillside, across from the Hillside Drive-in, and next to a Foreign Car repair dealership. My name is Bill Sinclair, and I came across this great website quite by accident. Although I have lived in Scottsdale, Arizona for nearly 50 years, I have fond memories of visiting and staying with my grandparents. They moved from Suitland in 1950 and bought a home at 5438 Spring Street in Forestville. It was a half-block from Budman Brothers Hi Way Market, where I was introduced to Hostess cupcakes and Twinkies. My dad was in the Air Force, stationed at Andrews, and when my parents had a temporary assignment in Illinois, I stayed with my grandmother, a recent widow, in a Forestville. I attended Forestville Elementary School and was in Dorothy S. Murray’s 6th grade class. What a great teacher. It was because of her, that I became an elementary school teacher and subsequently taught for 42 years. Perhaps someone will remember the name of the Principal at Forestville Elementary in 1958-59. As I recall, she had an identical twin sister who was the principal of Camp Springs Elementary School. They both had Shalimar-soaked hankies tucked under their watchbands. Funny how some memories stick around for 60 years. Thank you, Joanne, for maintaining this wonderful collections of memories. Thank you, Bill, for adding your story to my blog site. One of my online friends who grew up in Forestville seems to remember an Elizabeth Wilson as the Forestville Elementary School Principal. Is share right? Thank you. That might be it. But, honestly, my memories of the 50’s are somewhat cloudy. I do remember a girl in my class named Alice Fowler. Her dad, Charlie Fowler, was an excellent ventriloquist who entertained us on several occasions. That I remember with total clarity. I also remember Tucker’s, The Dixie Pig, The China Sea, and Dino’s restaurants. They weren’t in Forestville, but they hold fond memories too. Food can do that. For years, I’ve told my students, children and grandchildren about an unfortunate incident with pink cotton candy at the Mt. Calvery annual carnival. I rec’d two more comments. Both say principal was Olive King. Does this ring a bell? Also Bill, on what street was Budman Brothers Hi Way Market? This is the first reference to it I have seen. Thanks. Yes, it was Olive King. Thank you! Budman Brothers Hi-Way Market was on the corner of Marlboro Pike and Forestville Road. The last time I was in Maryland, there was an Exxon Station there. Spring Street, where my grandparents live, is now called Springdale Avenue. It was the street directly behind the store. Historical note: my parents were married at Forest Memorial Methodist Church in 1946. I was a Boy Scout there in 1958-59. Excellent, Bill. My parents, too, married in 1946 and moved from SE DC to PGCo shortly thereafter. Thanks for the corroboration and new facts. Bill, another memory-jarring site is the “I grew up in Forestville, MD” Facebook group. It’s an open group and steadily active. Best wishes. Wow! Love these memories, thanks for posting. I grew up in the apartments that were called Hilltop Gardens wayyyyy back in the 1960’s. One thing I remember with particular fondness were the October Halloween parades that we had while in DH Elementary school. We brought our costumes in and changed and it was so exciting back then. We marched down the cement stairs and across the street and in through the houses, down to DH Parkway and up the road and our parents lined the streets with cameras to take pictures of us. It was a great experience and is a wonderful memory, Thanks again for this, I have enjoyed reading it and the comments are great also. You just brought back my memories of our children participating in the Holloween costumes and parades, too. Oh, how I remember Hilltop Gardens. We could just barely see them from our home that overlooked DH Parkway. Wow, what memories this post brought to my mind. I grew up at Park Berkshire Apartments. My dad was in the military at Andrews. He hung out at the House of Henley bar. My sister and I were majorettes for the District Heights Fire dept. thanks for the flash backs! I worked very briefly as a server at the House of Henley to supplement my husband’s salary. Our two boys were toddlers so I worked a split shift to accommodate their schedules. I remember your name from church. FYI, Shady Oak Inn was sold a couple of months back. It is temporarily closed while it is undergoing a full renovation. I hope it returns to a family restaurant vs. its recent years as primarily a bar. Thanks for reading. Yes, I spent many a happy hour at the Municipal Center. I especially remember sitting on the hill there watching the fireworks displays. My husband and I were also Knights of Columbus clowns and we and our two sons skated in clown suits down Kipling Pkwy in the Annual Fourth of July Parade. This would have been probably mid-to-late 1970’s. Thanks for commenting–you just jogged some more of my memories. Wow! This post is drawing in a lot of readers whose memories have been jogged at least a little. Thanks, all. Great photo, great memory, I remember one of the recitals being at Oxon Hill High School, VERY hot and humid. You were great as a dancer, beautiful photo. Thanks for sharing. Remember Carol Magni, a little older than us…she could tap dance as well! I was a Rainbow Ballerina, back in 1956 or so. A lady named Lilja Alto sewed our costumes. She was on Foster Street. Wow! I am glad to know that Swann’s carried on for awhile! I drifted around those counters a lot. From what I later learned, a lady with the last name of Brown had the secret recipe for the BBQ at the Dixie Pig. One of her sons was Bucky Brown who was class of 65 at SHS. She had another son, Jack, class of 62 or 63. He was the one who told me that there was a secret recipe. I am envious of your horse back riding…there was so much beautiful land and it got SO overdeveloped. That is currently happening all over again in PG County. SOB! WAIL, CRY! Another little tidbit I learned. There was an encampment of our soldiers at the Penn Mar area during the War of 1812. They were waiting for the British who were on their way up to Bladensburg and DC to burn the White House. Secretary of State was James Monroe and he came all the way out from DC to visit the troops. No Route 4 then. There were two dance studios back in the day. One was Helen Moore Studio which was on Marlboro Pike across from the Mighty Mo. The other was Jean Hartman School of Dance, located on Marlboro Pike at the end of Delano Drive or thereabouts. You and I traveled the same roads. LOL Helen Moore’s daughter Pamela was in my 2nd grade class and Helen came to teach us all how to do the Bunny Hop. I do not remember Sidley’s. I remember Chin’s Palace. The daughter Mei Chin was in my class of ’66 at SHS. I do not remember the horse back riding venue. That was way back. They must have developed that area soon after. I lived in District Heights, near where the little library was located. I also read somewhere that there used to be some kind of an oil rig that was trying to find oil on the land where Berkshire was going to be built. I am not on Facebook, but I could spend all day going down Memory Lane. Good grief, Mercine. I do remember Swann’s store. In fact, they moved down near Fort Washington and my husband and I went there around 1973 and bought a molded ceramic “Last Supper” Plaque. It still hangs in my kitchen. It must have been Jean Hartman’s studio that I recalled because it was at Delano Drive. I was only about 7. I still have a picture of her that she sent out at Christmas. It’s in near-perfect condition. This would have been around 1954-55. I have added it and corrected my blog post. Thanks, again. Mercine! I’m so glad I took the time to read through these comments. I’m currently on a rabbit trail trying to find a picture of the DH library that was located near DH Elementary. Is this the one you’re referencing? I grew up in District Heights and we visited the DH library at least every week. My brother and I are pooling our scattered memories about the library. Do you happen to know the address of the library? And Joanne, I enjoyed this post greatly!